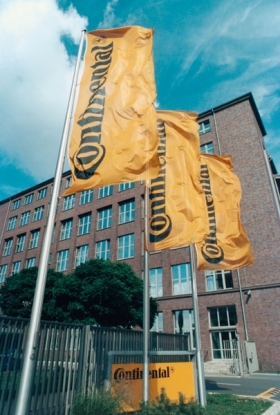 Continental said Alan Hippe, the supplier's chief finance officer and head of the rubber division, will leave the company at his own request on Feb. 28. Hippe, 42, will join ThyssenKrupp, Europes biggest steelmaker, as its head of finance on April 1. Schaeffler co-owners Maria-Elisabeth Schaeffler, 67, and her son Georg Schaeffler along with CEO Juergen Geißinger and legal adviser Rolf Koerfer will join Continental's board. Schaeffler will propose Koerfer to replace Von Gruenberg, 66, as Continental chairman at Continental's annual shareholders meeting on April 23.